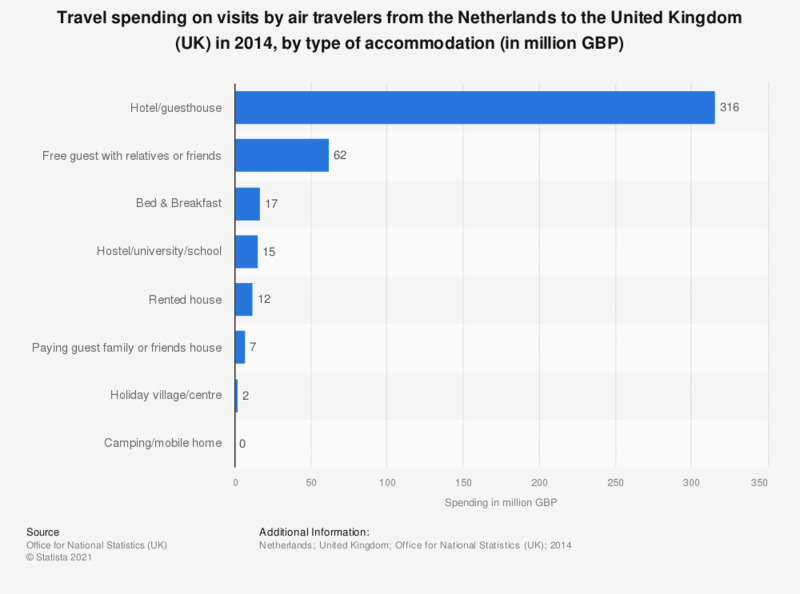 This statistic presents the travel spending on visits by air travelers from the Netherlands to the United Kingdom (UK) in 2014, by type of accommodation. Spending on hotels and guest houses amounted to 316 million British pounds, compared to 62 million British pounds spent while staying with friends or relatives. Exact date of publication not given by the source. Statistics on "Serviced accommodation in the United Kingdom (UK)"
Have you previously booked the following accommodation types when traveling? Have you previously booked hotel accommodation when travelling? Have you previously booked bed and breakfast accommodation when travelling?